Drama and its appreciation are important parts of the enrichment program at Gill St. Bernard's. Participation in drama encourages cooperation and teamwork and helps to develop confidence and poise. The Upper School fall play and spring musical, the Middle School play, and the Lower School Nutcracker performance provide stages for student actors, enlist the assistance of student technicians and stage hands, and encourage the participation of parent volunteers. 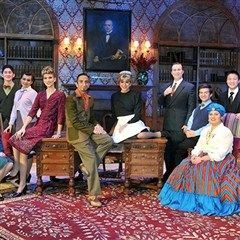 In the Upper School specifically, the spring of 2012 the GSB Players' production of The Mystery Of Edwin Drood in the spring of 2012 received the Outstanding Overall Production Award at the Paper Mill Playhouse Rising Star Competition. The school received 11 total nominations and took home four additional awards for Outstanding Achievement by a Supporting Actress, Outstanding Achievement in Costume Design, Outstanding Achievement in Musical Direction, and Outstanding Achievement in Direction. 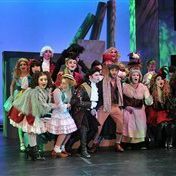 GSB drama productions have consistency been nominated and recognized for several state-wide awards. Chair of the performing arts department, Paul H. Canada has been teaching theater and staging award-winning Upper School productions for more than 25 years. He holds a Master’s of Fine Arts in costume and set design from Mason Gross School of the Arts at Rutgers, as well as a Bachelor’s of Music Education in vocal music from Mississippi College. He has worked extensively, as a director and designer, in educational and community theatre and as a designer in professional theater.